Here you can see SVI-738 service manual, but the Sony "Interactive video" manual is really rare manual. It is a manual for HB-G900(A)P U-Matic video controller. This device was built by Sony into a place of second diskdrive controller. We have Sony G900P with the interface, needed cables, two videos and cassettes, but unfortunately we don't have the software. In manual there are some examples of controlling the video from BASIC and some information about video editing software found from disk delivered with the interface. 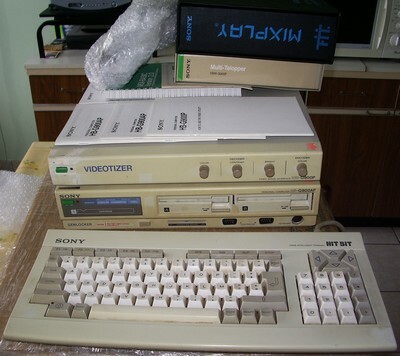 I bought a Sony MSX2 HB-G900AP ​​(AZERTY model), two specific programs. I guess the program'''' interactive video must be equivalent to MIXPLAY may be more recent. 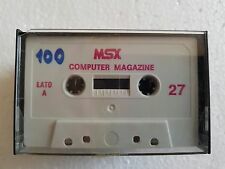 in the book MIXPLAY English: I read that this program allowed controlled reading Laserdisc and U-matic, and created programs to run playback superimposing text, images, and the headband with texts. Please make sure to preserve this software! 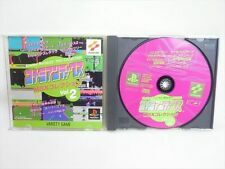 the record indicates that this program allows the control frame or a different speed to slow to a U-matic or a Laserdisc. it should also be an option as a second RS232C interface on the cartridge port for connecting a TOUCH SCREEN!?! ?